You know gender pay gaps are a problem when even the Queen isn't paid fairly. 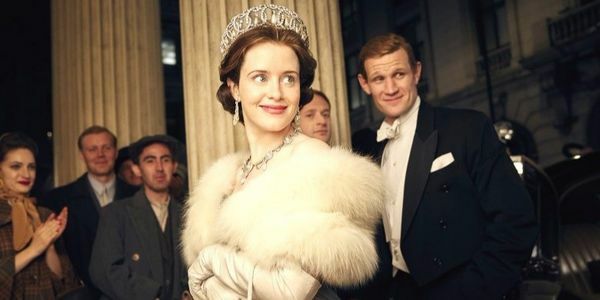 At a recent conference, Netflix producers admitted that for two seasons, they paid Claire Foy, who plays Queen Elizabeth on "The Crown", much less than her costar Matt Smith who plays her on-screen husband, Prince Phillip. Sign my petition asking Netflix and Matt Smith make up for this sexist pay gap by donating the difference in their paychecks to the TIME'S UP Legal Defense Fund for Sexual Harassment & Abuse Victims! Women in all industries are facing a struggle for pay equality. Women in the US are typically earn 80 cents for every dollar paid to their male counterparts for full time work. And the pay gap for women of color is even more striking. Black women typically only make 63 cents for every dollar paid to their white male counterparts and Latinx women only make 54 cents on average. While it may be easy for some to dismiss gender pay disparity for already high-paid actors like Claire Foy, I believe that publicly addressing high-profile cases of sexism will also help create greater opportunities for all women — in all careers. Recently, a Care2 petition called on Mark Wahlberg to donate his extra paycheck to Time's Up when reports showed he was paid one thousand times more than his co-star, Michelle Williams. Over 16,000 Care2 members added their names to call and Wahlberg listened, donating millions to help sexual harassment survivors fight back! We can do it again — this time in the name of the Queen! This is critical moment for Netflix and Crown co-star Matt Smith to show that they stand with women and do the right thing. Sign and share to ask Smith and Netflix to donate the difference in Smith's pay to the Time's Up Legal Defense Fund. Let's keep the pressure on! Please SHARE the petition on social media to encourage them to really step up and donate the difference in pay to Time's Up Legal Defense Fund or other women's groups.